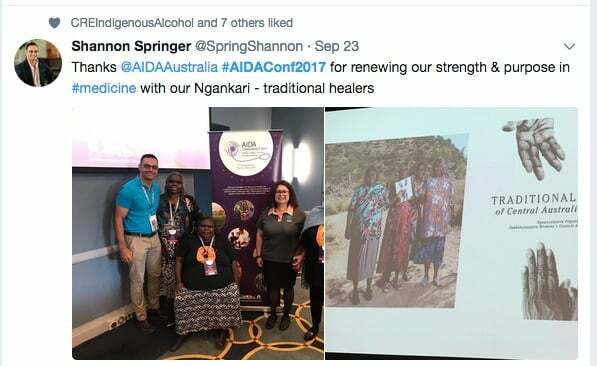 The recent Australian Indigenous Doctors Association conference was marked by themes of hope and strength, and provided delegates with a culturally safe space for open discussions about the impact of colonisation and racism within Australian health systems. 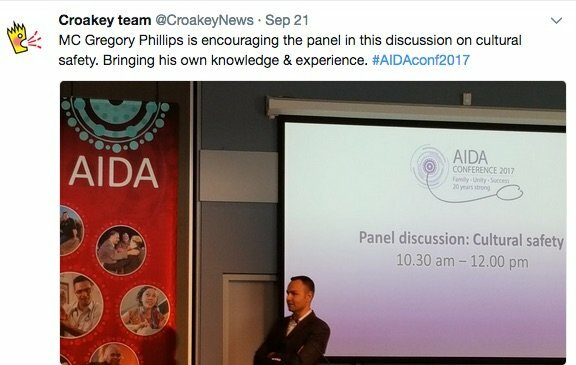 Writer and author Karen Wyld, who covered the #AIDAConf2017 for the Croakey Conference News Service, reports below that the 20th anniversary conference heard of the benefits of decolonising approaches to health care and wraparound service models that are inclusive of families and communities. 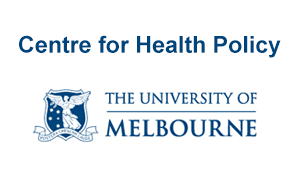 Another key theme was the importance of critical race discourse and cultural safety to improving health and education systems, services and outcomes. Minister Ken Wyatt also stressed the importance of implementing cultural safety into aged care. See more tweets and selfies from conference sessions and social events beneath the article. 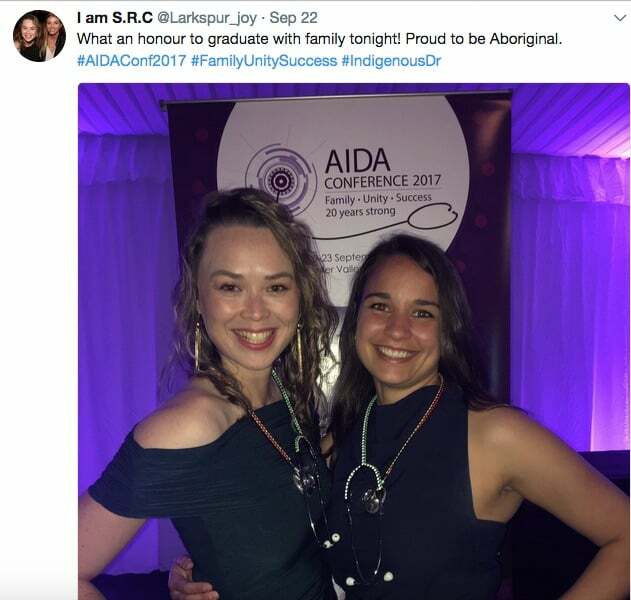 The theme of the recent Australian Indigenous Doctors Association (AIDA) conference was very apt. Throughout the many presentations, workshops, cultural and social activities, Family Unity Success was evident, time and again. AIDA conferences are always well presented, but this year was special. AIDA turned 20 and many members and friends were there to celebrate this milestone. The conference was held in Pokolbin in NSW’s Hunter Valley, on Wonnarua country. 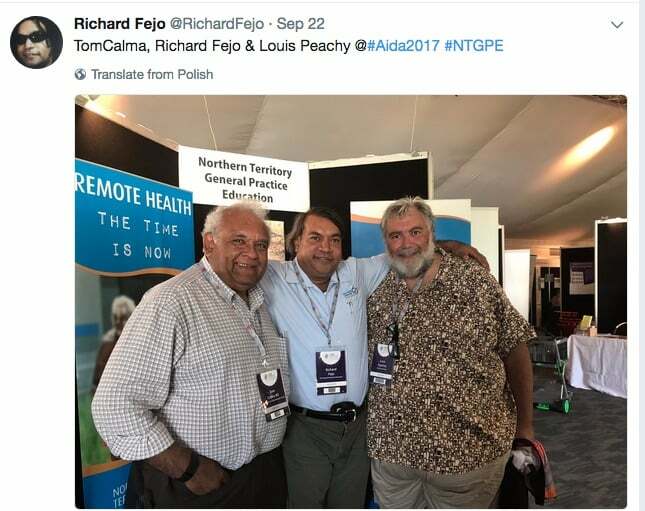 With a strong line up of speakers and presenters, VIPs included: Dr Jeff McMullen, the Hon Ken Wyatt AM MP, Professor Tom Calma AO, Associate Professor Papaarangi Reid and Dr Nathan Joseph (New Zealand), Associate Professor Dr Martina Kamaka (Hawaii), Dr Michael Gannon and Dr Philip Truskett. Throughout the conference, other recurring themes emerged, such as: hope, culture, identity, family and community-led solutions. 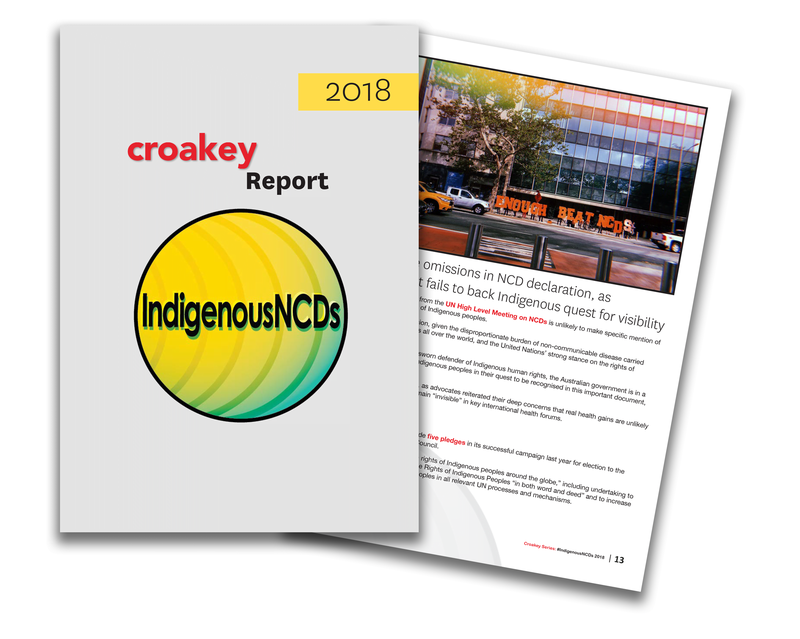 Whilst many speakers spoke of the need for culturally safe care to improve health outcomes for Indigenous people, ongoing barriers were also named. 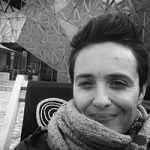 These included intergenerational trauma, disenfranchised First Peoples in settler colonisation, unacceptable health disparities, racism, racism deniers, and health and education systems that still are not culturally competent. And, as often occurs when Indigenous peoples gather to talk about issues impacting on communities, strategies were put forward to address the barriers. Positive ways forward included: decolonising approaches to health care, implementing wraparound service models that are inclusive of families and communities, and critical race discourse. 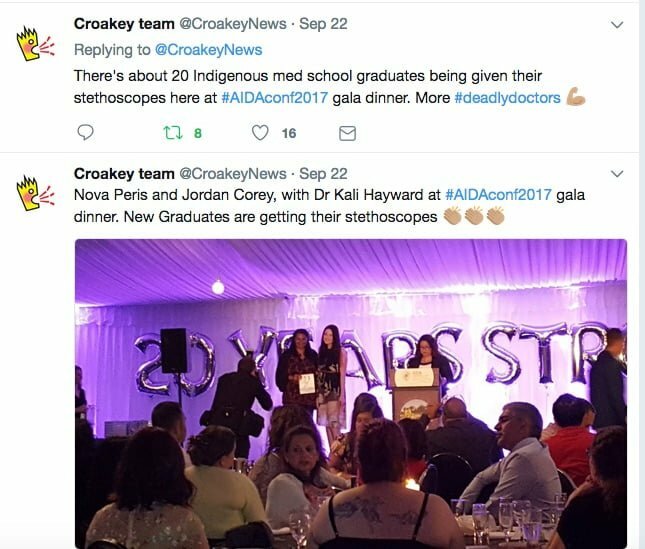 Another key strategy is creating culturally safe learning environments and ongoing support for Indigenous students/practitioners to successfully grow their career pathways in medicine. 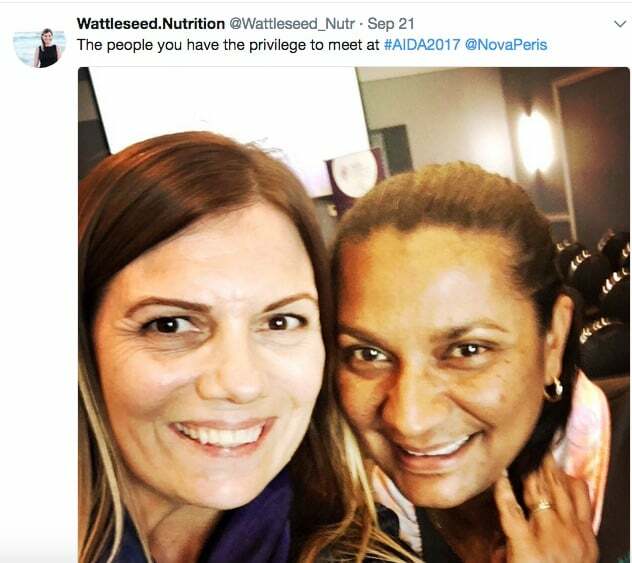 This is an area where AIDA demonstrates its leadership to drive change. With a range of practical and theoretical professional workshops, the Growing Our Fellows session, and presentations on career development, delegates were inspired to further map out their career pathways. 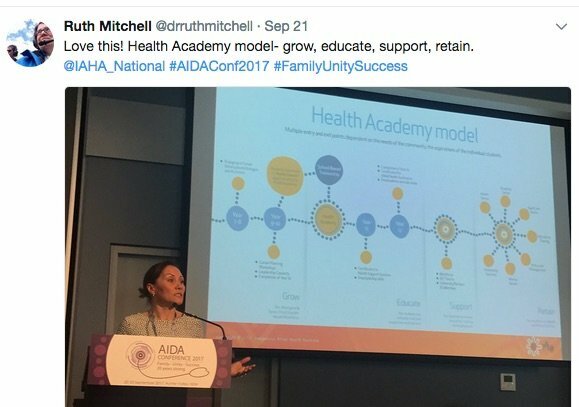 Encouraging Aboriginal and Torres Strait Islander people to grow a career in health starts early. 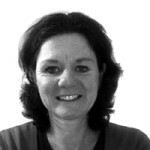 Donna Murray, CEO of Indigenous Allied Heath Australia (IAHA), spoke of one such program for young people. 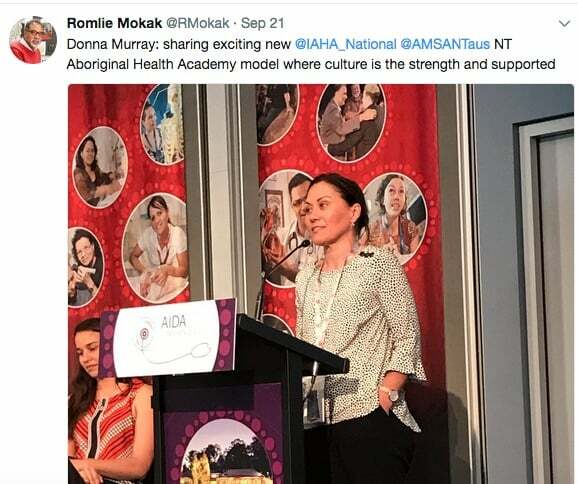 In partnership with Aboriginal Medical Services Alliance NT (AMSANT), IAHA manages a Health Academy to support young Indigenous people’s pathway into the health workforce. Unlike some other Indigenous youth programs, this Academy is not sports-based, and is instead focused on educational achievement. 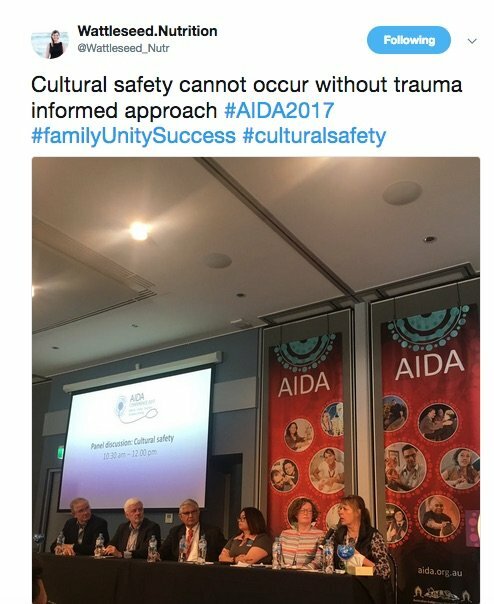 The need to develop culturally safe systems and services was very much a focus of the AIDA conference, with many solutions put forward to overcome barriers to change. 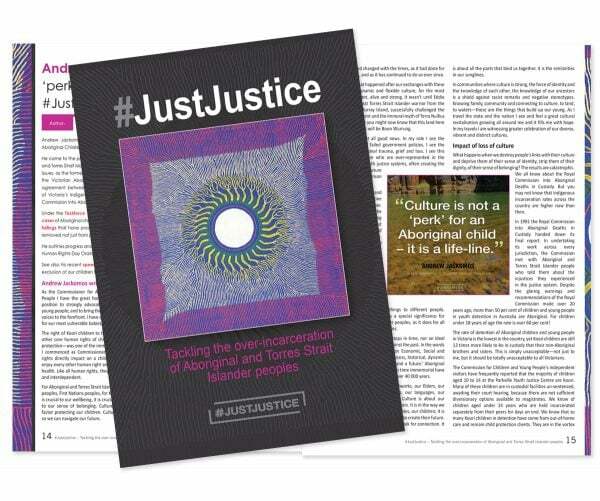 Systemic racism continues to be a major issue within the health system, and it’s critical to address this to close the gaps for Aboriginal and Torres Strait Islander people. 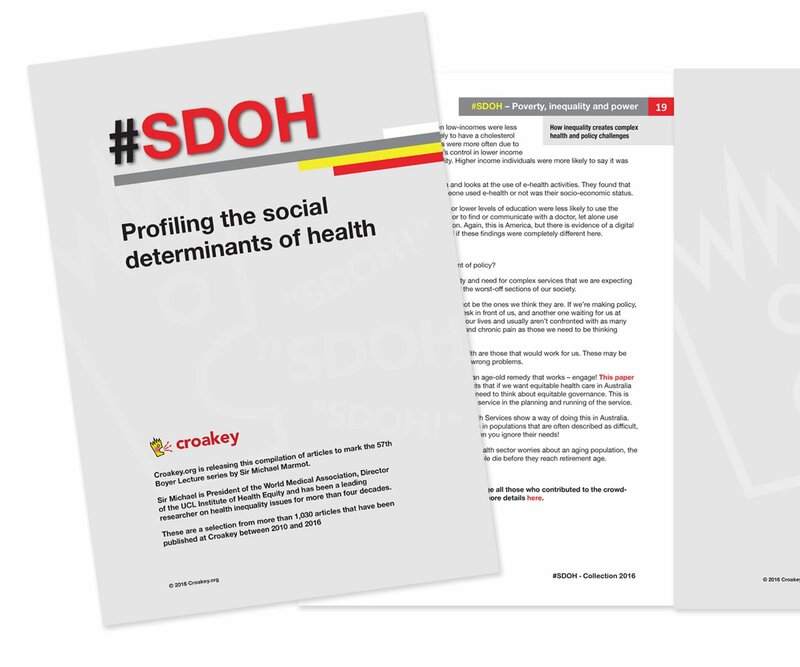 Ensuring health systems are free of systemic racism not only increases the likelihood of Aboriginal and Torres Strait Islander people receiving better levels of care, but will build culturally safe work and study environments for the Indigenous health workforce. 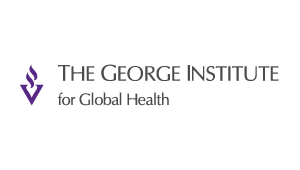 The cultural safety panel of distinguished guests provided the opportunity to delve deeper into current flaws within the health system, and to put forward possible solutions. A conference highlight, this panel consisted of: Associate Professor Gregory Phillips (MC); the Hon Ken Wyatt, Minister for Indigenous Health; Professor Helen Milroy, Royal Commissioner, AIDA Life Member; Dr Kali Hayward, AIDA President; Ms Theanne Walters, Deputy CEO Australian Medical Council; Professor Brian Kelly, University of Newcastle; and Mr John Batten, Royal Australasian College of Surgeons. 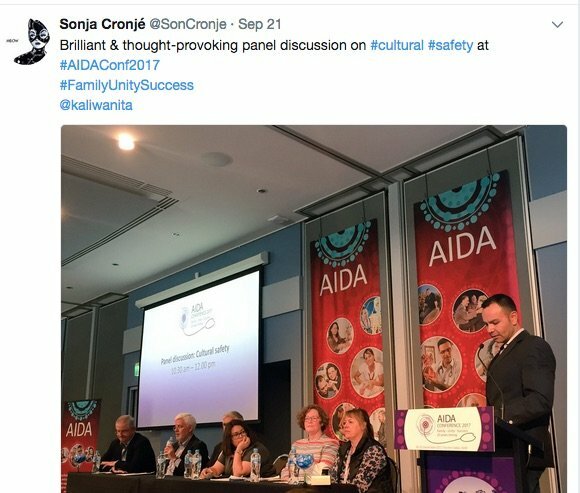 Cultural safety is recognised as a model of health care that is not only anti-racist but addresses the ongoing effects of colonialisation, such as intergenerational trauma, and is based upon analysis of power and issues such as whiteness and institutional racism (read more about the history and evolution of cultural safety in this previous Croakey post). 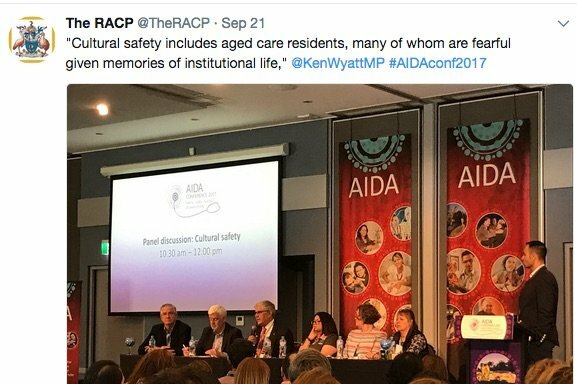 Minister Ken Wyatt reminded delegates that aged care also needs to adopt cultural safety models as many Indigenous aged care residents “…are fearful, given memories of institutional life”. 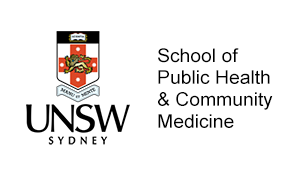 The importance of embedding cultural safety in the curriculum for all medical students was recognised as a contributor to a more competent workforce as well as creating a safer passage for Indigenous students. 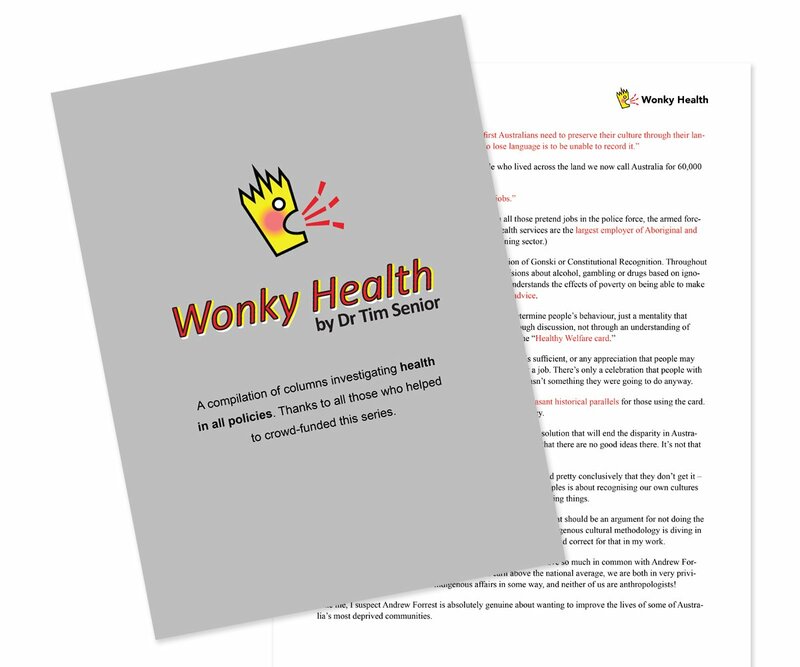 Culturally safe health models must include acceptance and incorporation of Indigenous health practices, and an understanding of the importance of family and community. 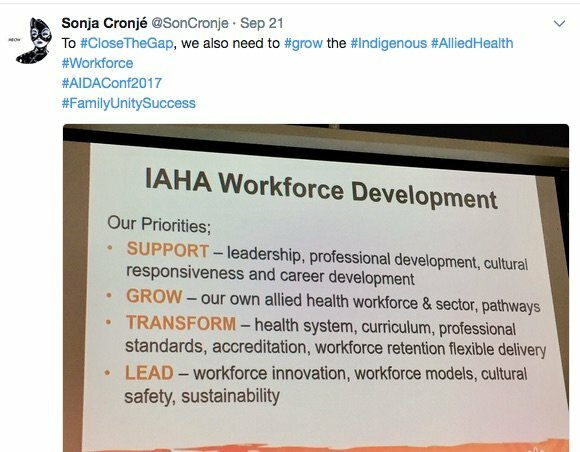 This sentiment that was evident in numerous presentations throughout the conference, demonstrating the point-of-difference that Indigenous medical practitioners often bring to their work. 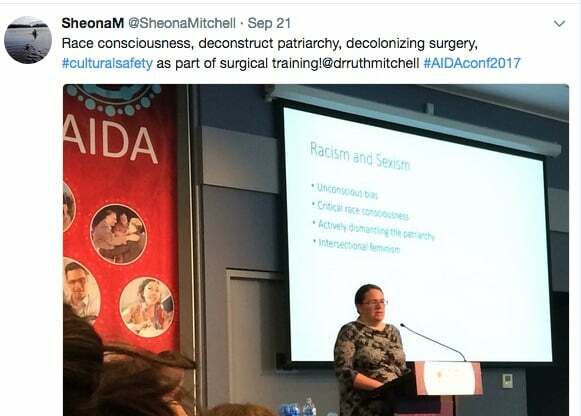 Many sessions spoke of the barriers that Indigenous doctors need to constantly navigate. Terminology such as decolonisation, critical race discourse, social determinants of health, and systemic racism were unpacked. 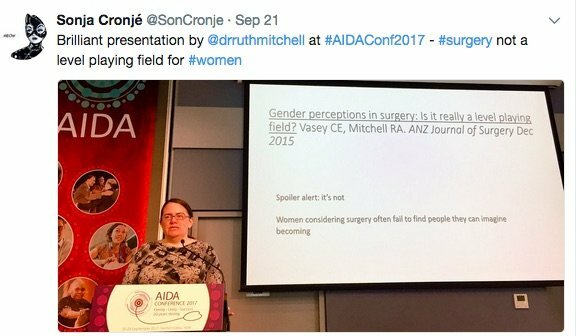 The need to deconstruct the patriarchy in medicine was also discussed. 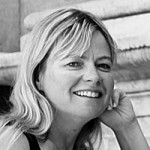 Dr Ruth Mitchell reminded delegates that surgery was still not a level playing field for women. And Indigenous women are up against racism and sexism, as they forge a career pathway. 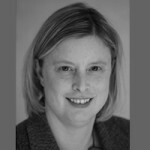 Dr Mitchell said that “as surgeons we cannot fully serve patients unless our workforce reflects the same diversity” within Australian communities. 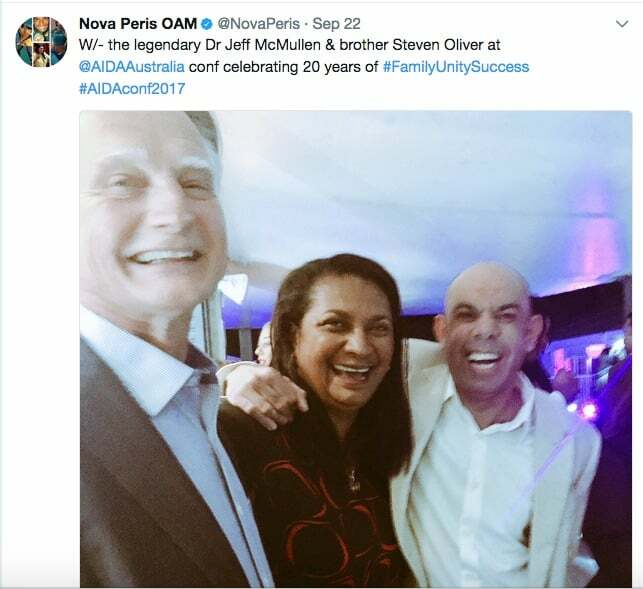 A gala dinner on the last evening brought AIDA members and friends together, to celebrate the 20th anniversary. James Wilson Miller welcomed everyone to his country, the lands of the Wonnarua Nation, and read out a moving piece that allowed everyone to ‘see’ the beauty of this country from pre-invasion to now. Steven Oliver, who MCed the night, also shared some of his poetry and spoken word. 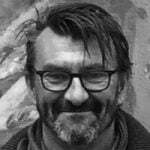 With his well-known fusion of humour and sharp social commentary, Oliver received a standing ovation. 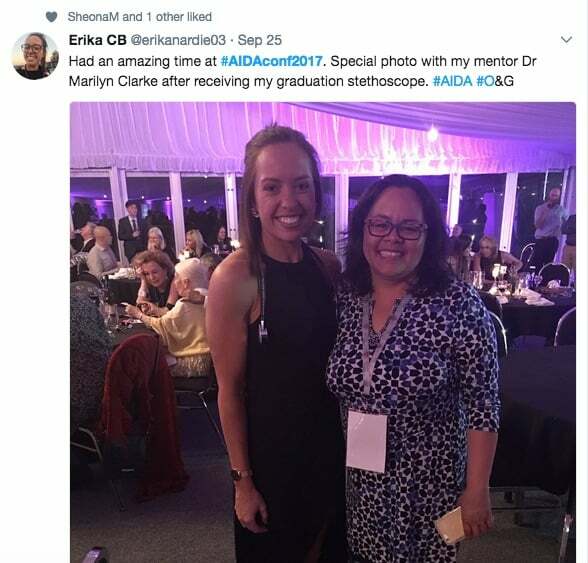 Nova Peris, AIDA Patron, shared the stage with Dr Kali Hayward, AIDA President, to present graduates with their well-earned stethoscope. 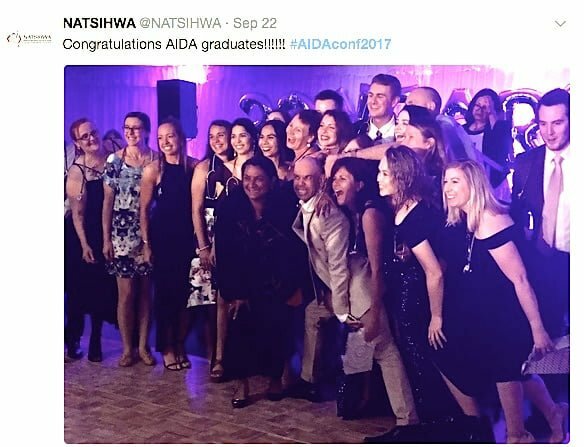 With 28 graduating Indigenous medical students, the biggest cohort to date, as well as a few graduating Fellows, this moment was a shining example of AIDA’s success. 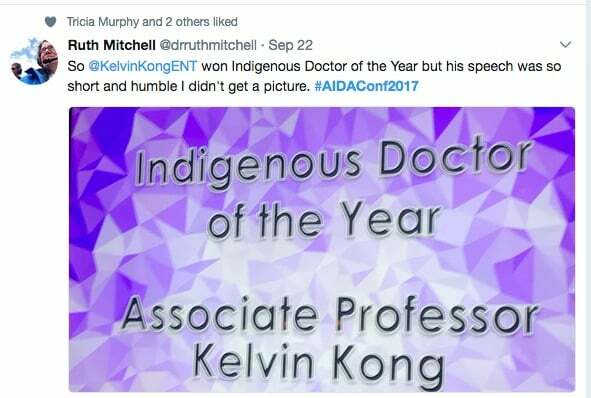 Dr Philip Truskett, AIDA Patron and lifetime member, presented the Indigenous Doctor of the Year Award to Associate Professor Kelvin Kong. As Truskett is one of Kong’s earliest mentors, this was a proud moment for both doctors. 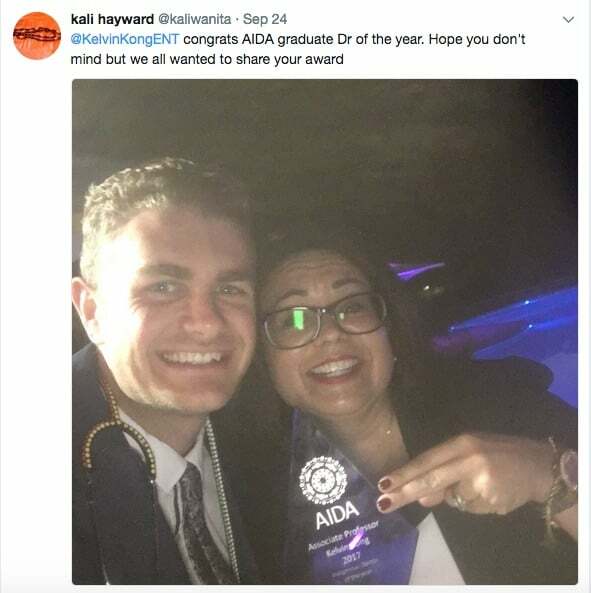 Other awards were for Indigenous Student of the Year – Mr Luke Hamlin, and Associate Member of the Year – Professor Annemarie Hennessy. 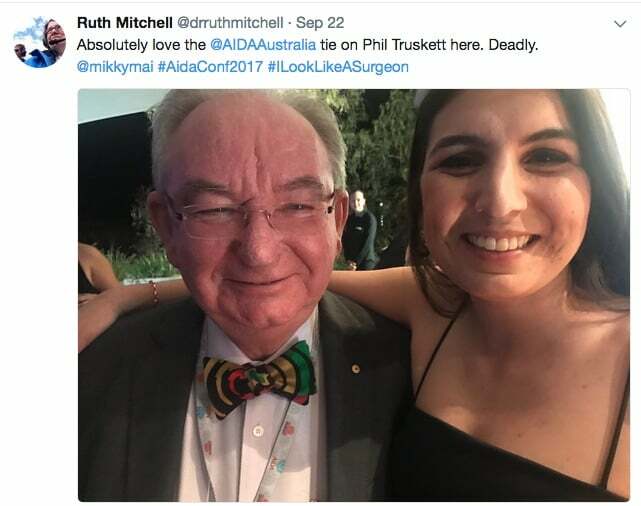 Twenty years ago, when AIDA started, there were only a few Indigenous doctors. 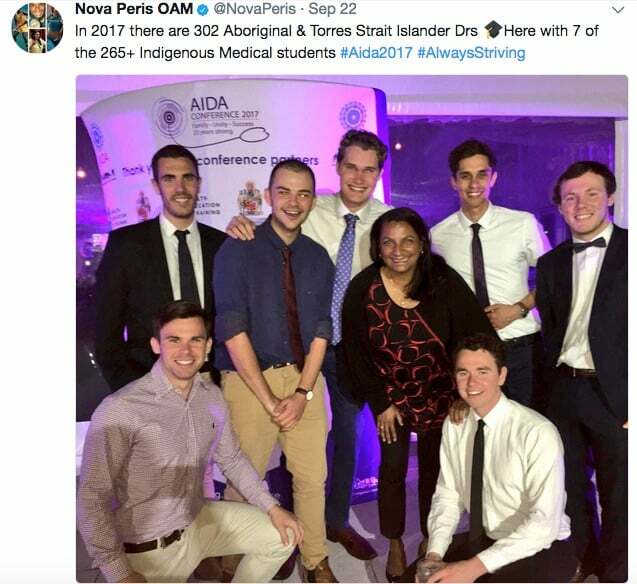 There are now more than 320 Aboriginal and Torres Strait Islander doctors, and over 265 medical students. 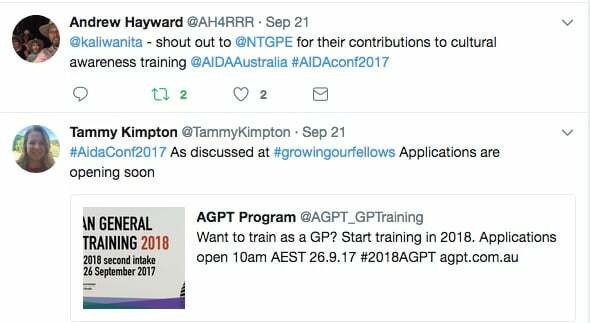 And every year more Indigenous medical practitioners are breaking barriers to enter new specialisations, to become known as another ‘first’. With the forging of stronger relationships with the medical colleges and peak bodies, AIDA will continue to provide the high level of leadership, support and mentoring for which it is known. After immersion in a culturally safe space at the conference, many delegates left with a renewed sense of hope, knowing they had support to grow their careers in medicine. 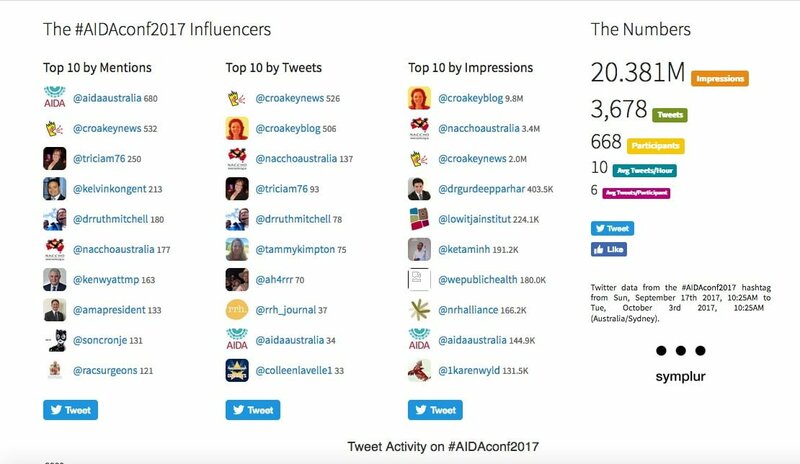 Our appreciation to all who shared the #AIDAconf2017 news via Twitter and other social media. 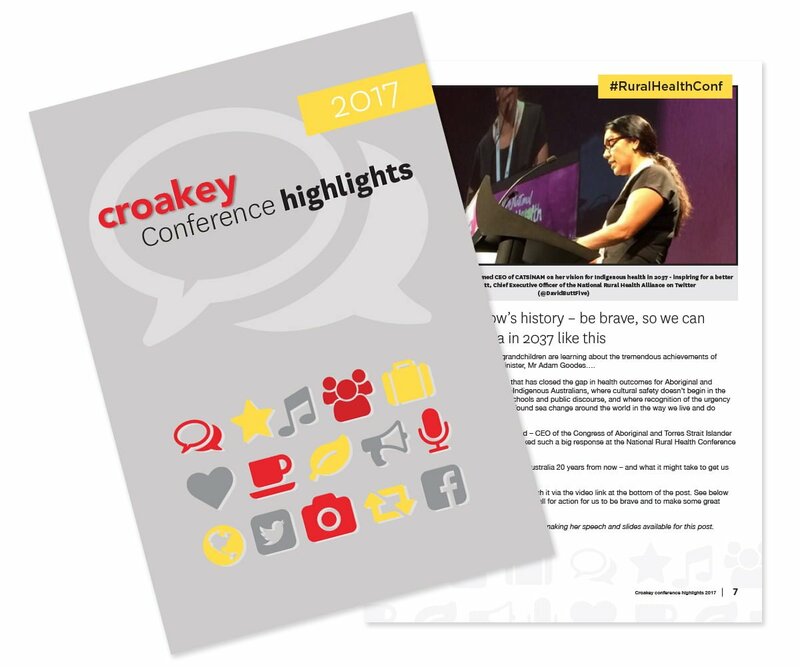 For the period of Croakey’s coverage of the conference, there were 668 participants on Twitter and more than 20 million Twitter impressions. The conference hashtag trended nationally on Twitter on both days. Read the Twitter transcript here. 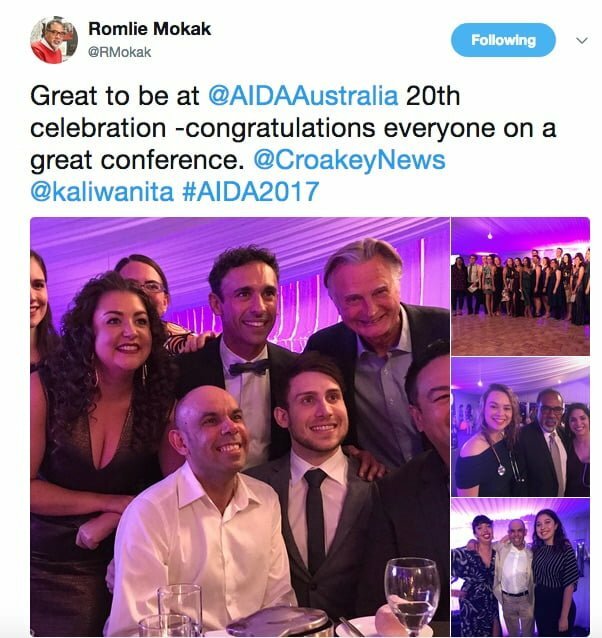 Bookmark this link for our #AIDAConf2017 coverage.